The worship of Hanuman can save us from many problems. Many time people get effect of evil on themselves. In this case, it is beneficial to worship Hanuman. It is also beneficial to worship Hanuman in such disorder, negative energy and other problem. The worship of Hanuman protects us from evil. We can special power by worshiping Hanuman. Do not worship Hanuman for conspiracy. 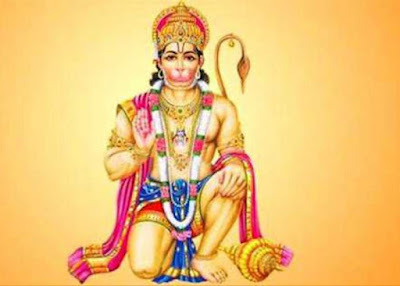 Do not worship Hanuman for negative benefit. If diseases are not cure then cover mango tree piece in red thread and wear it. Take piece of that mango tree, which gets fruit and the tree is in lord Rama temple. This avoids negative energy and disease. Keep urad in iron utensil and offer it to Hanuman. Worship and do meditation. Donate this urad to any needy people. Do this remedy for five Saturdays. Take eleven leaves of peeple. Mix jasmine oil with vermillion and write Shri Rama on and offer it Hanuman. Then flow this leaves in clean water. Do this remedy for eleven Tuesdays. Take one diary and write “Om Hunumantaya Namah” with red ink for 108 times. Do this remedy daily before bed at night. Do these remedies until the problem solve. Keep this diary at auspicious place. Give food to poor workers when you come out from problem. Donate jaggery, gram, masur and urad food to poor people on Tuesdays. You can chant Sundarkand. This will avoid every problem.